I am so excited to be sharing 20 of my favorite cozy farmhouse porch decor ideas with you today. It doesn’t matter what your style is there is something here for everyone! There is a ton of inspiration and maybe one of these perfect places might just give you a bright idea! These few ideas will help you to bring a little farmhouse style to your own front porch space. Because there’s nothing more welcoming than the charm & character of a farmhouse porch. 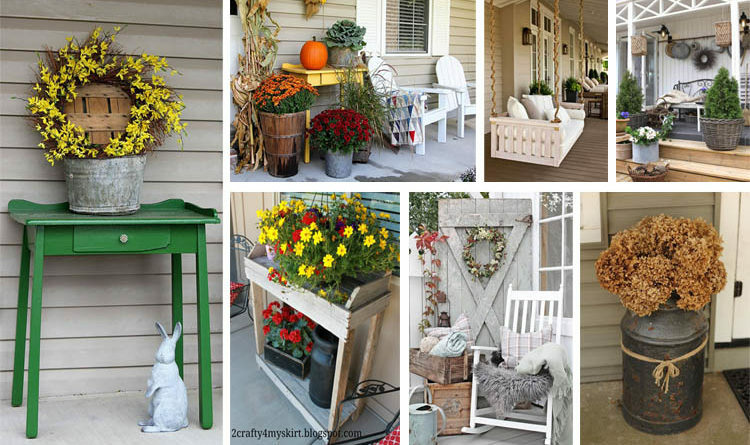 Enjoy in these amazing farmhouse rustic porch decorating ideas.